Salumi delivers on its promises. If you want a comprehensive, understandable, useable and enjoyable guide to how to dry cure & preserve meats Italian style, this is it. 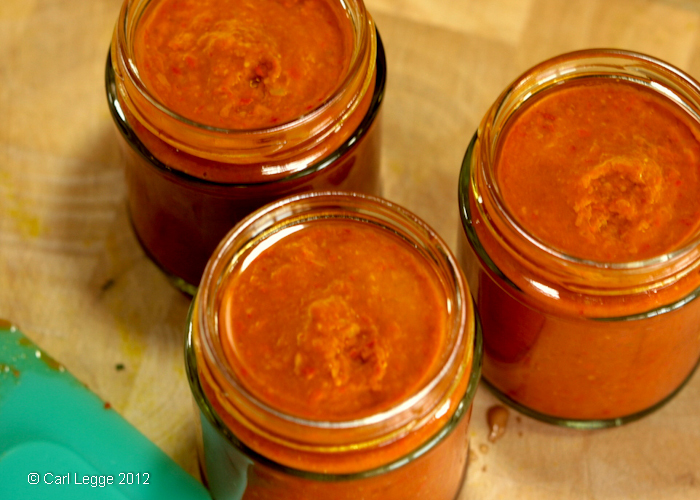 It’s suitable for the chef, semi-pro or novice home practitioner. I wish that this book had been published a few years earlier to save me some hard won experience. Salumi: The Craft of Italian Dry Curing is written by the authors of the acclaimed Charcuterie – Michael Ruhlman & Brian Polcyn. Rhulman has written & co-written many bestselling books about cooking. Polcyn is Professor of Butchery & Charcuterie at Schoolcraft College in Michigan and a chef/patron of his own restaurants. They both demonstrate a clear knowledge of the science of meat preservation coupled with a love & evangelism for good food, slowly & lovingly prepared and eaten. 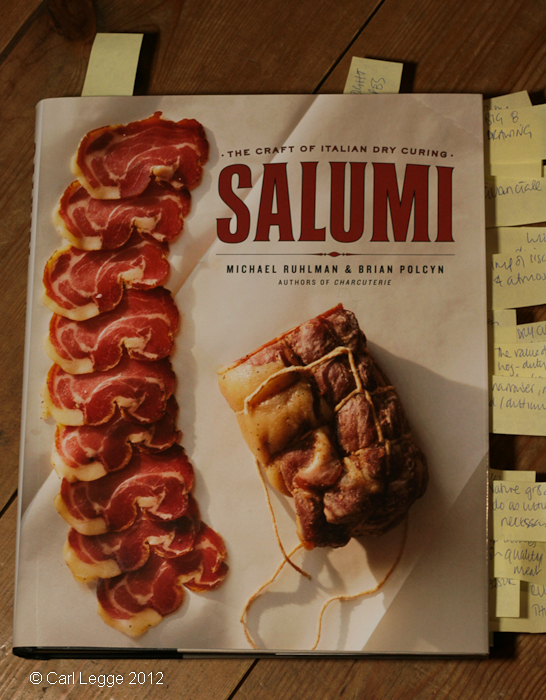 Salumi is a tidy hardback book that’ll fit on your worktop while you work through the instructions. 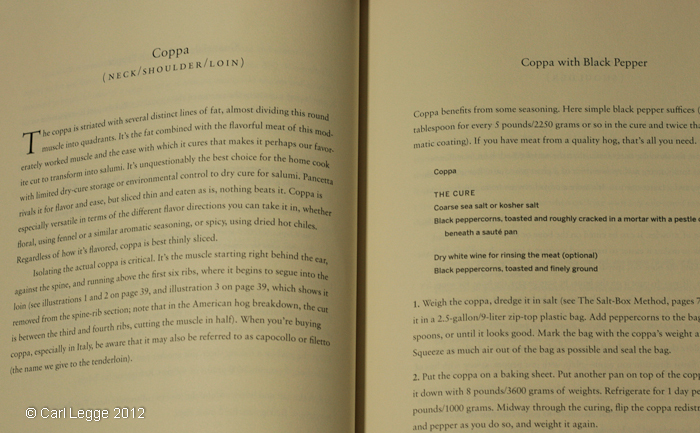 It’s divided into five chapters which take you systematically through the process from carcass to consumption. It’s illustrated throughout with really clear & helpful drawings by Alan Witschonke. 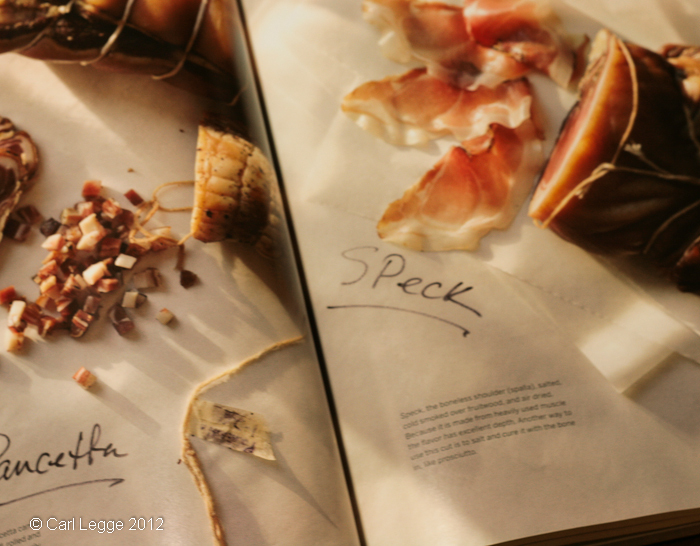 It has two beautiful sections of colour plates which really do the salumi proud and show you what to aim for. Each chapter has its own mini-contents at the beginning and these are helpful to see the scope of what’s there, not just to help to navigate the book. There are regular boxed out asides which give added detail and explanations or contain wonderful anecdotes. The anecdotes really bring the book alive and give it atmosphere. They clarify terminology up front and explain that salumi is the word for salted & cured meats and salami are a subset of these which are dry cured sausages. Nature is the greatest artist, we are not the first to say, and this is what salumi is really about: taking what nature gives us and doing as little as possible to it to make it the best it can be. …if you are not prepared, if you have a feeling bone in your body, you will experience the deep humiliation of having wasted a creature’s life because you were lazy. Quite so and well said. But the book is not all so earnest. The section the above quote comes from is entitled: “The Experience of Breaking Down a Whole Hog (Is This Your First Time, Sweetheart?)”. And their humour peeks cheekily through in many more passages and anecdotes. The first chapter gives really detailed instructions of how to butcher a whole pig. Having done the job myself, the instructions are clearly from people that have done it for real. The drawings come into their own here and are very helpful. They say it’s hard work and needs from three to nine people to do. No wonder when I’ve done it on my todd, I been out on my feet at the end. 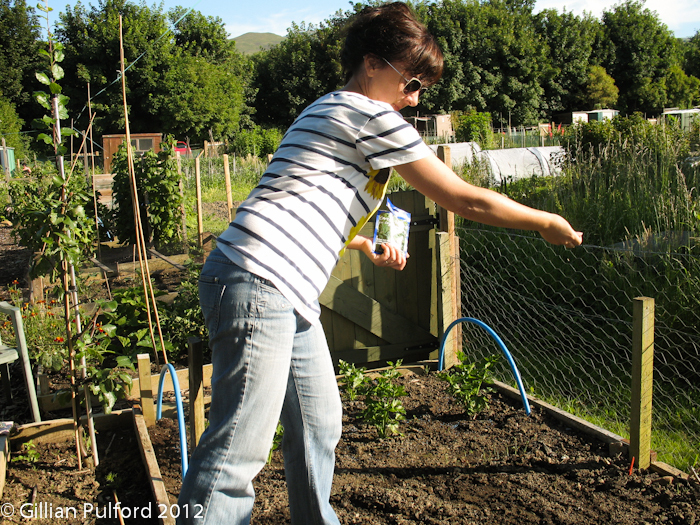 There’s lots of good practical advice and tips. 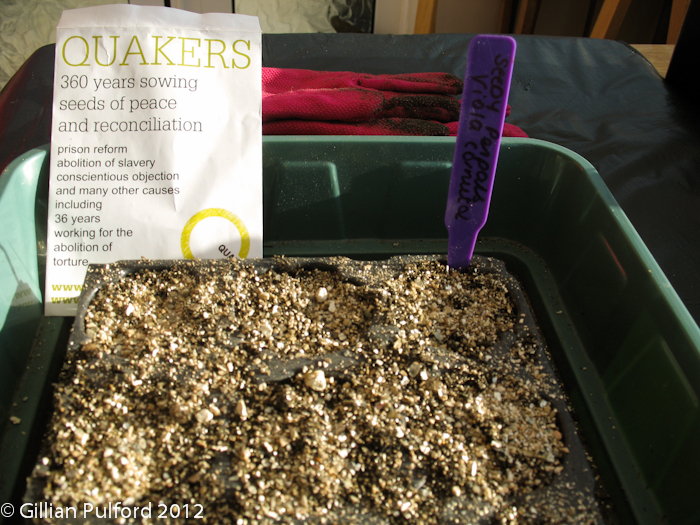 The second chapter sets out the basics of the science behind why and how curing works. 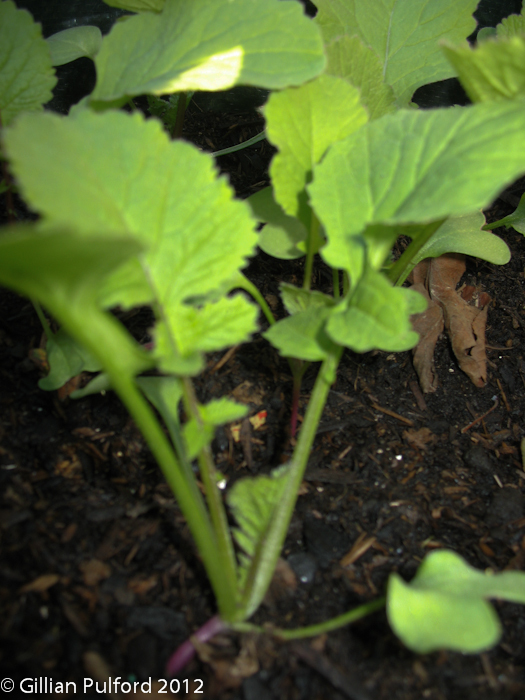 They deal with the safety and environmental/public health issues in a way that reassures. Like scuba diving, they say, if you follow the rules – you’ll be safe. They provide advice about what equipment is needed and how to improvise smokers and curing cabinets. 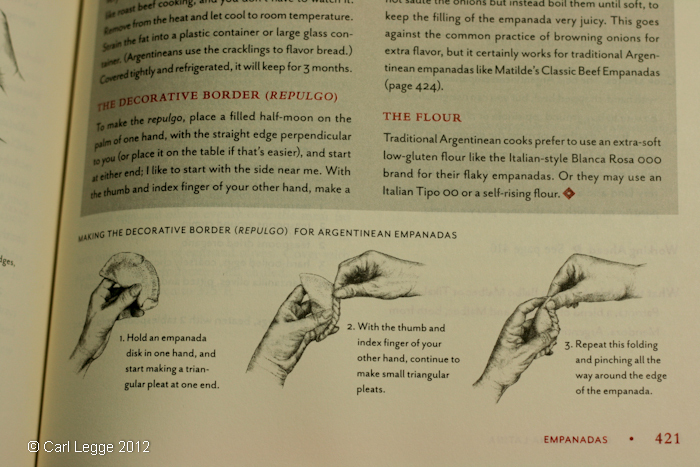 The chapter ends with a basic recipe and some rules of thumb. 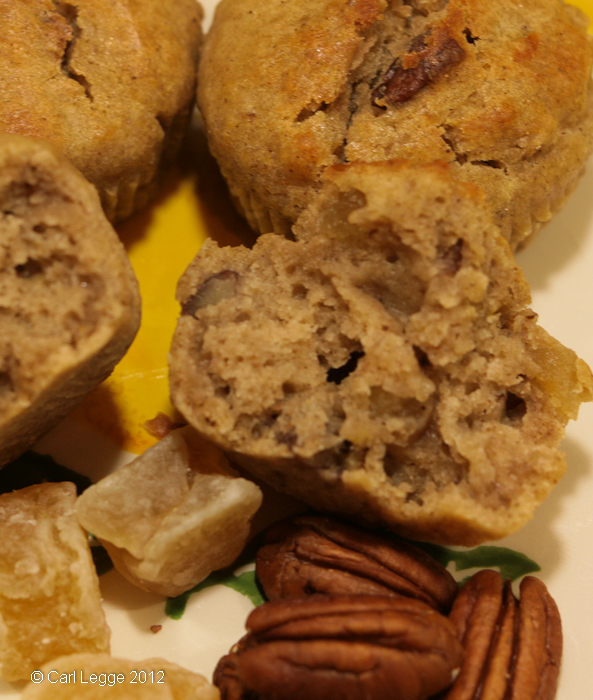 In addition to the science and careful weighing of ingredients, they stress that common sense is a useful asset to have and use throughout the process. 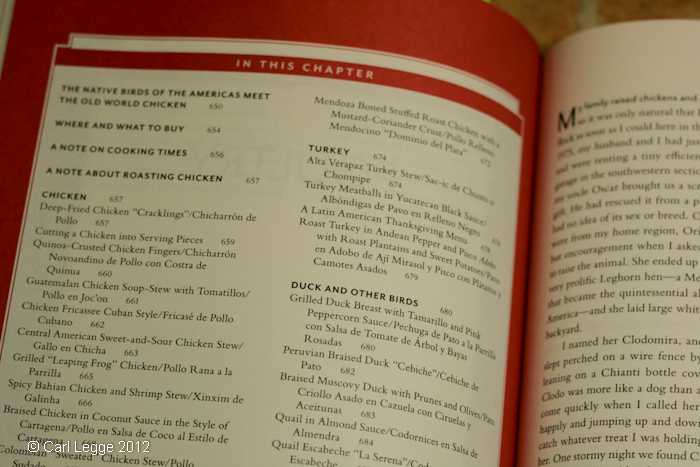 In Chapter Three they describe and give recipes for the ‘Big Eight’ Italian dry cured meats. These are: guanciale, coppa, spalla, lardo, lonza, pancetta, prosciutto and (basic) salami. 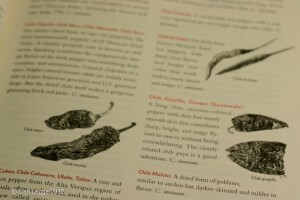 Each section describes the cuts and its uses, flavour, cure variations and gives relevant tips and things to look out for. 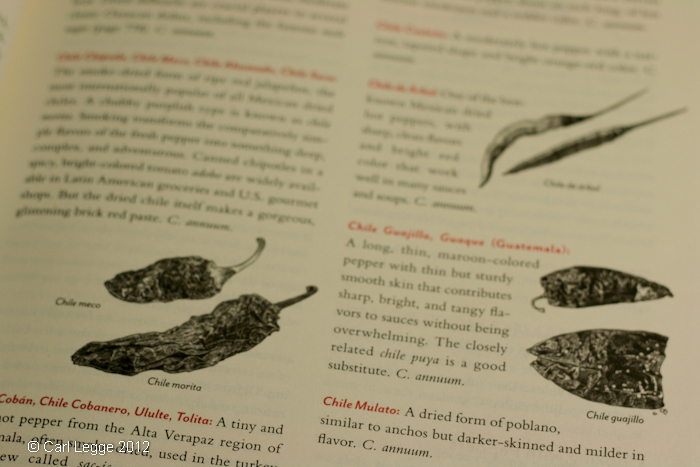 The recipes are clear and precise, the measurements given in ounces and grammes with aniticpated timings and yields. 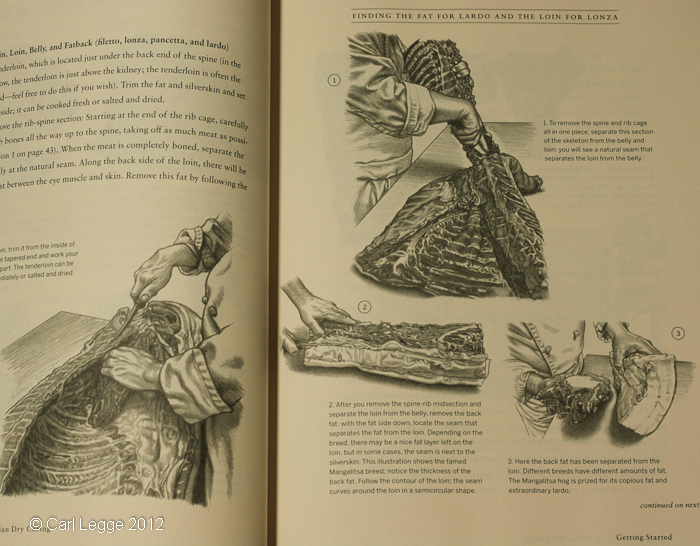 With Chapter Four, Ruhlman & Polcyn go “Deeper into the Craft of Dry Curing and Preserving Meat”. 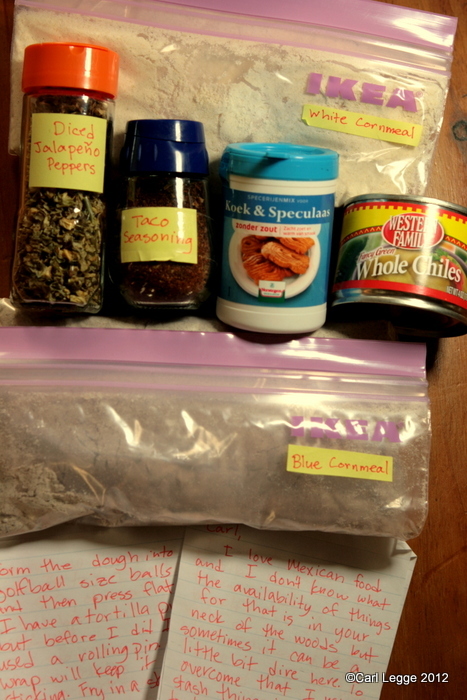 This covers how to make more complex salami, whole muscle salami and cooked salumi. The recipes follow a similar format to those in Chapter Three and I found really inspired me to want to get to grips with the art of the Salumière. 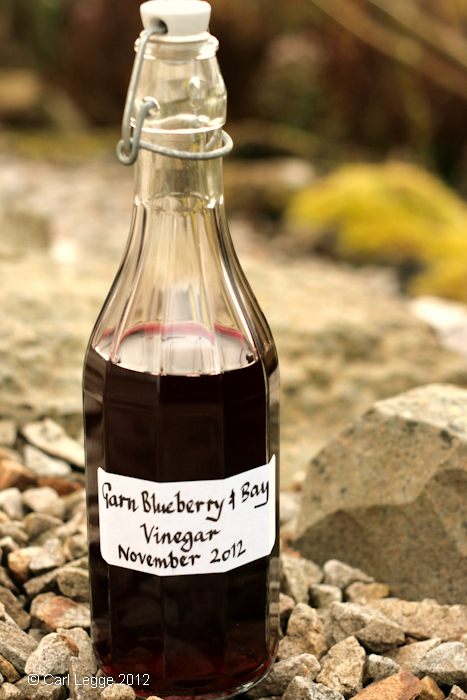 The authors’ expertise of the technical aspects of the cure and how to match and blend flavours shines through. 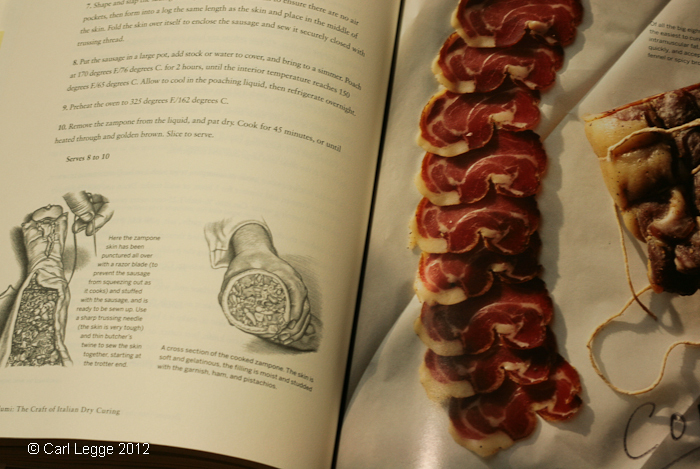 Finally, in Chapter Five the art of how to cook with and serve salumi is revealed. There are six mouth watering sections which cover tagliere di salumi (the salumi board), crostini, pizza, pasta & polenta, soups & salads and classic combinations. 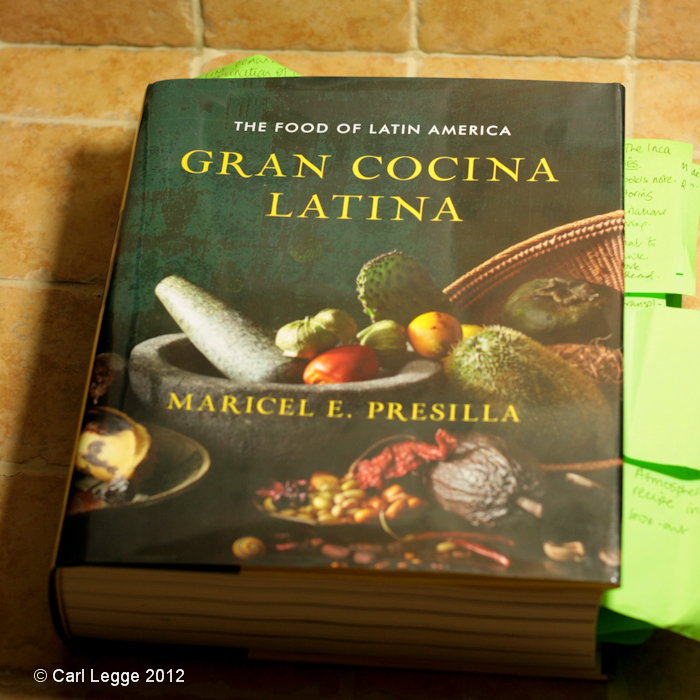 There’s enough inspiration in here for many months and years of happy cooking. I’ve kept, slaughtered and butchered my own pigs and made my own bacon, chorizo and sausages. So I’m an enthusiast for the process and the products. 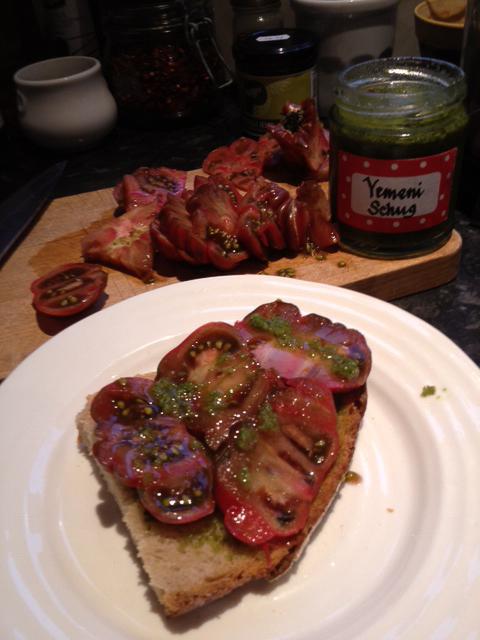 I’m also, as this blog shows, a big fan of Italian style cuisine. This book will soon look tired and battered as it’s bound to be well used, thumbed and drooled over. It’s an essential read for anyone interested in how to make preserved meats, or who wants to find out more about Italian cuisine. Disclosure: The publishers provided me with a free copy of this book for me to review. They didn’t impose any express or implied conditions on this and I have written as I’ve found. This is my second Foodie Penpals parcel. This month I was matched with Alena from London who, as you can see, really did me proud. What Alena sent me was as wonderful as it was unexpected. She sent me all I would need to make wonderful sushi and a fab miso soup. Even down to thinking to include a shushi rolling mat. How clever & thoughtful is that? 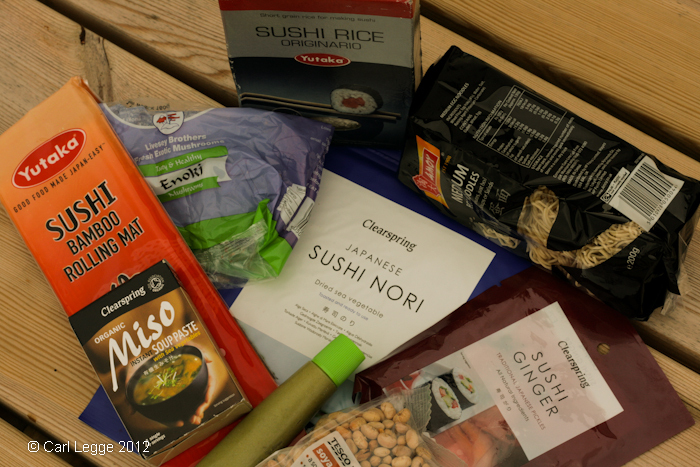 This summer we are really enjoying Japanese food & I have decided to send you some ingredients for sushi & my favourite miso soup with enoki mushrooms. As an ex-London resident, I really appreciate the marvels and choice you have there so you can get ingredients from just about any part of the world. North Wales isn’t quite like that. We’ve had the soup, which was delicious. As Debs has been working hard on a load of shifts, I’ve held off making the sushi – now she’s on holiday we can indulge at leisure. I’m really looking forward to the chance to practise a new technique. I have also baked an apple pie – this is our family recipe. It was gorgeous. And the reason there’s no picture is because we consumed the cake (generous portions of the same) before I got the chance to take any pictures. My 17-year-old son declared it “Amazing!” and I agree heartily. 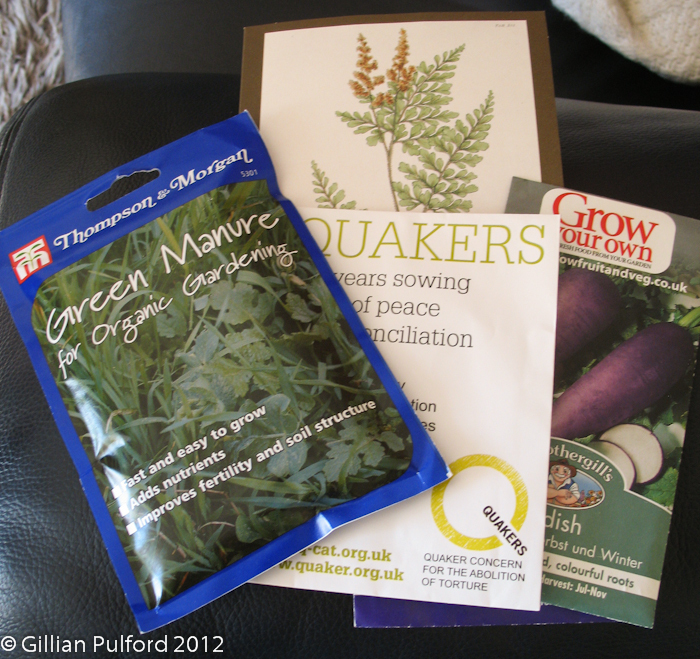 What’s more, Alena kept me fully up to date with progress of the parcel. She packed it beautifully and safely.